A great combination to make a complete outfit. 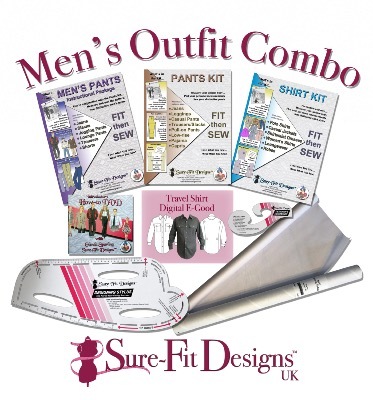 This combination gives you the all tools needed to use the Sure-Fit Designs system to create personalised men's trousers and shirts/tops patterns. And save 15% compared with buying the items separately.